Waffle Fabric Slippers for Your Guests | America Galindez, Inc. 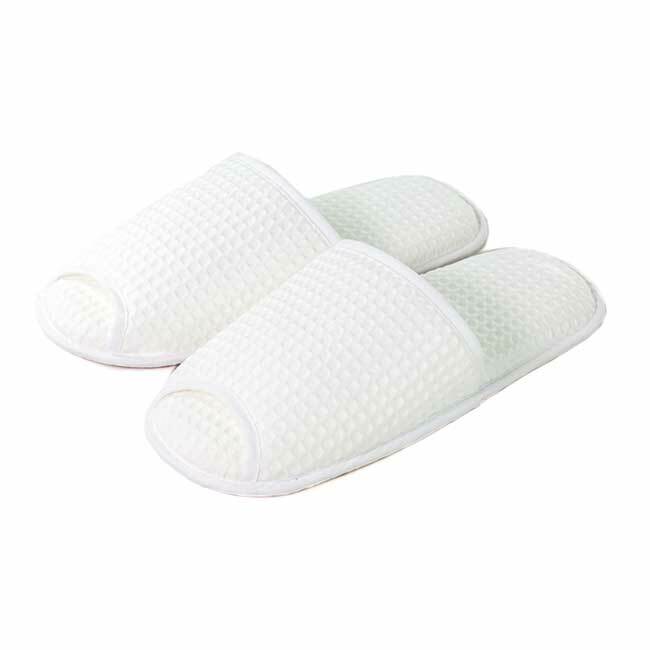 The waffle fabric slippers are a perfectly textured for your comfort. 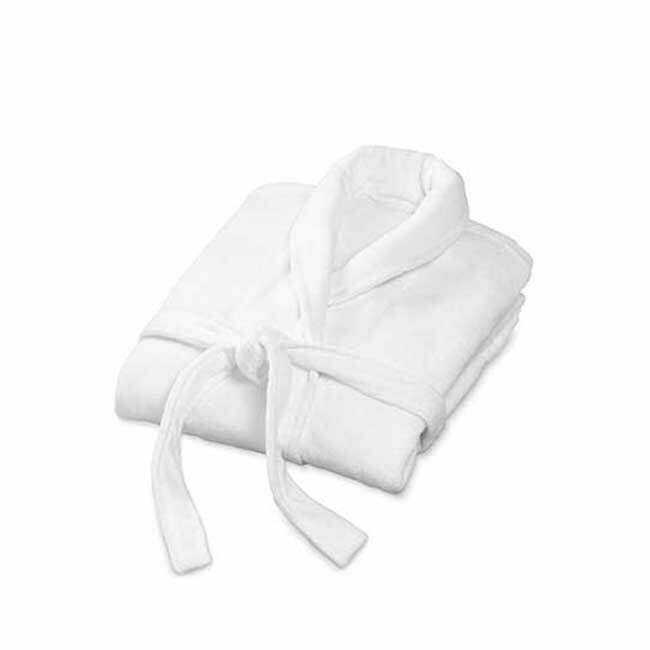 Made with 80% cotton and a 5mm non-skid EVA sole they make a luxury choice for your hotel spa. Waffle, or sometimes honeycomb fabric is fabric, usually cotton or microfibre, woven in a way which makes it very absorbent. The waffle weave also allows air to flow through the towel so that it dries quickly. Waffle fabrics are made in a range of weights. Waffle fabric is used for cleaning surfaces in industry. The surface of the fabric is textured rather like a culinary waffle, hence the name. This texture gives more surface area for absorption and cleaning than a normal flat surface. It is woven on a loom, and is therefore more durable than many chemically produced fibres. 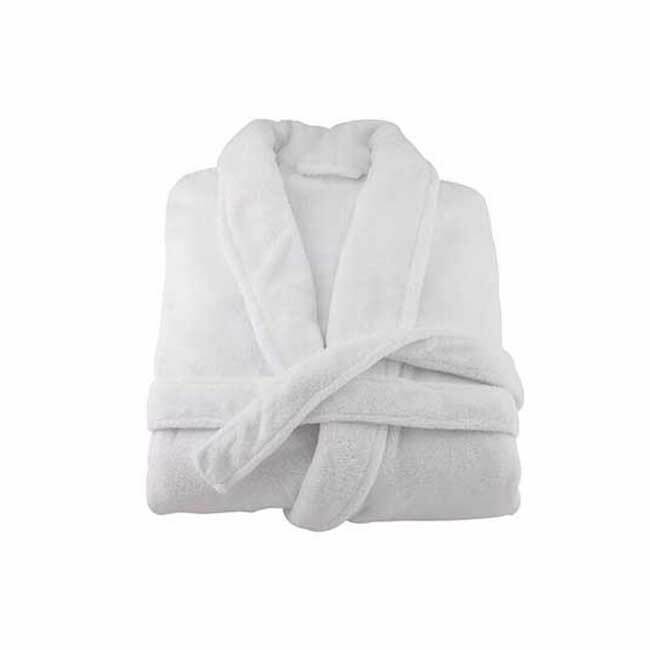 It is not a mechanical or chemical process that can be washed off after thorough or heavy use.